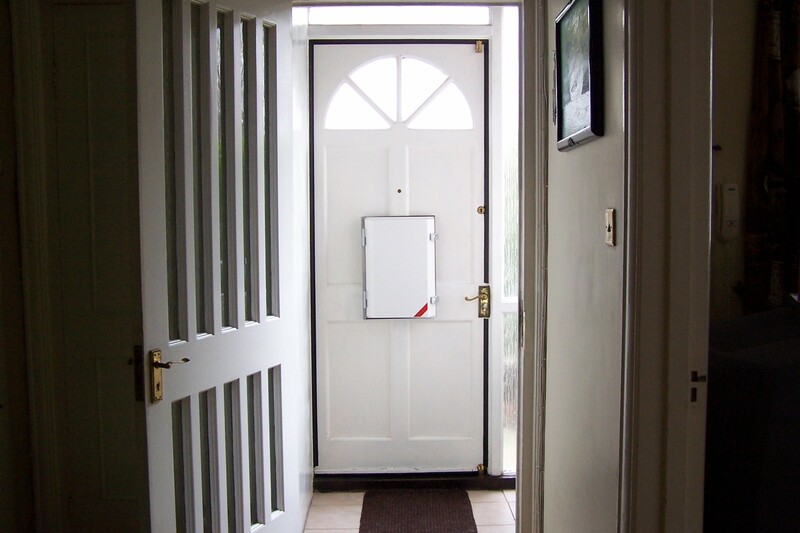 The extent to which fitting IdealGuard™ secure letter box product will pay for itself and reduce CO2 emissions will vary from property to property and over time as it depends on a large number of factors. These factors include the size of the dwelling, indoor/outdoor temperature differences, size of the letterplate and lengths of periods when it stays open during the day and at night (at night there is a bigger temperature difference between the inside and the outside), average seasonal wind speed, length of the heating season, relative humidity, whether gas or electricity is used for heating, and more. Also, it is highly sensitive to price of energy (gas, electricity, etc.) and therefore volatile. In cases like this where it is difficult to generalize and quantify the figures precisely it is customary to use a model based on assumptions. Assuming the average reduction in room temperature by 1°C due to heat loss through the letter plate during the heating season then, according to The Energy Saving Trust, it can increase the heating bills by up to 10%. With the current* natural gas and electricity prices this could incur a typical household around £62 - £79 extra heating cost per year and result in extra 300kg of CO2 per year. * Based on 10% increase in energy used for space heating, which is 60% of fuel bill. Bill size is based on March 2012 typical house fuel bill £1,320 a year (after price cuts earlier this year) on a standard tariff, but someone on the very cheapest tariff would pay £1,030 for the same usage. In reality there is often a "gap" between how the energy improvements perform in theory, and how they perform in people's properties. For example, loft insulation is estimated to deliver the largest annual savings. However, research sponsored by the Carbon Trust shows that when squashed, loft insulation typically provides half the insulation levels advertised and 82% of UK households are getting only half the savings advertised since they use their loft for storage, compressing insulation. So if you want to get the full benefit of the seemingly most energy-efficient scheme you must forget using your loft! To guard against the risk of assumptions, the savings should be calculated on an individual-property basis by monitoring the effect of fitting the product. In 2006 this London property was the first to be fitted with the IdealGuard™ new brand secure by design multifunctional eco letter/mail box. 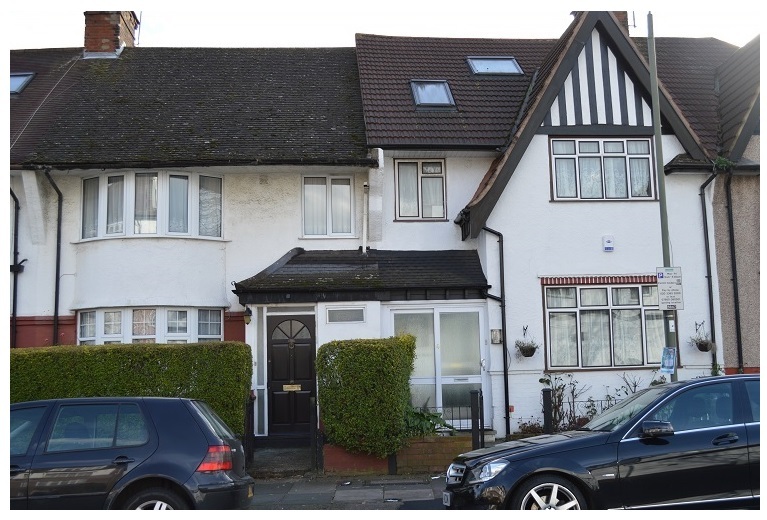 The project showed how installing this simple cost-effective measure makes a huge difference. 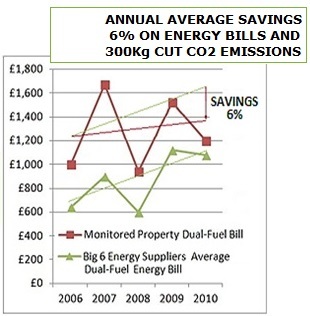 Despite the soaring energy prices, this retrofit delivered average annual savings of 6% on the monitored property energy bills compared to the national price increases and average annual reduction in CO2 emissions around 300Kg. What's more, fitting IdealGuard™ secure by design letter box product had added an incredible sense of peace of mind and security both regarding privacy and safety to the occupants. Can we ignore 3kW heat loss through the open letter plate?